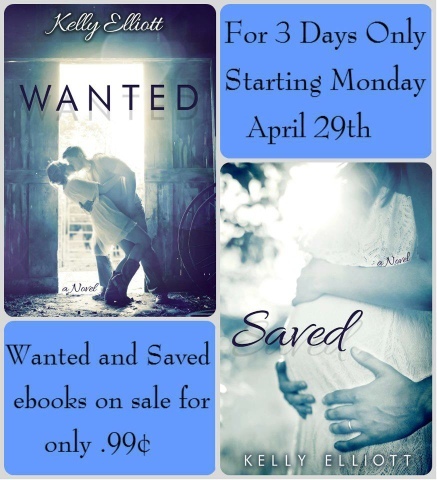 Naughty and Nice Book Blog: WANTED and SAVED by KELLY ELLIOTT are on SALE !!! Which book would you like for FREE??? Become a follower of the blog and leave a comment below with your email address and we will GIFT you your choice of WANTED or SAVED from Amazon!!!! I would love a copy of Saved!!! Wanted was amazing. Thanks! Wanted. Pretty please with sugar on top. Awesome! Would love wanted. Jessica_little115@Yahoo.com thank you!! I think I'm a follower. Did it work? I followed! :) hopefully it showed up. I think i followed right? Wanted please for my roommate who drives me to the ER eventhough she hates hospitals!!! THE CONTEST IS CLOSED........ THANK YOU FOR PARTICIPATING !!!!!! Thank yo so much!!!!! sending HUGS!!!!! I haven't gotten my book yet? I'm pretty sure I was within the 25. Have you sent them out already? Your copy of saved was sent at 12:01 pm to the address you provided above: amandadoterraipc@hotmail.com My name is Heather Davenport, that is how your amazon gift would be sent. Please email me at naughtyandnicebookblog@gmail.com if you do not receive it. Maybe there was an error with your email address. I would like Wanted. My email is llynnthomas42@gmail.com. Thanks for the giveaway! Just wanted to say thank you for my copy of Saved! Have a wonderful weekend!